– An artist is not made but is born..
Who doesn’t love glitz n glam? Some sparkly dust on cam.. But yes surely leaves eye cold.. Yes, I am sharing some glittery look today. 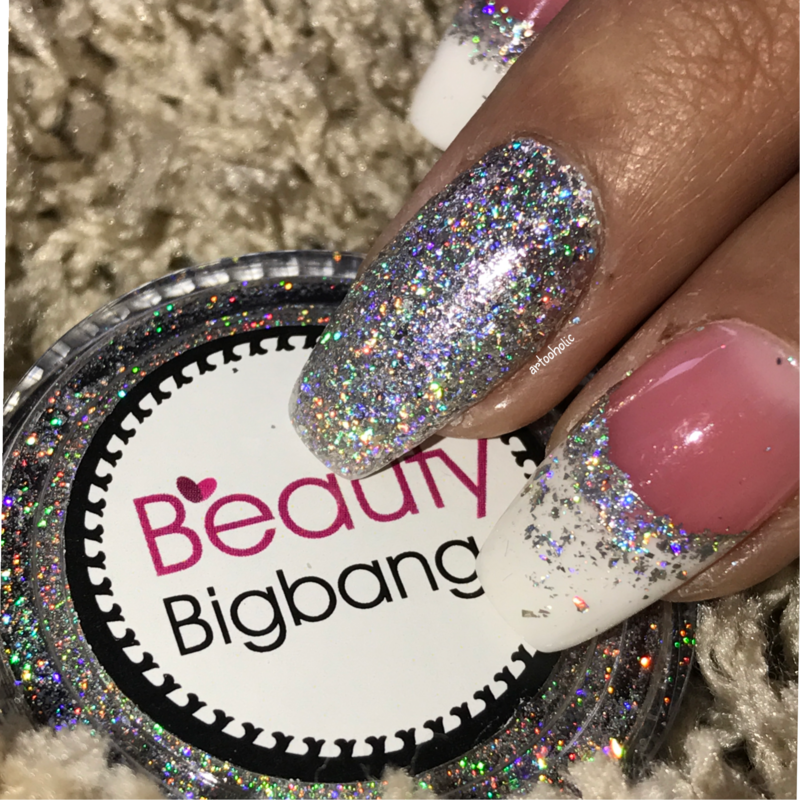 I have used Beautybigbang product SKU J2425 a holo flakie 😍 which is amazing just amazing. It’s very easy to use which a sponge stick coming along with the package. 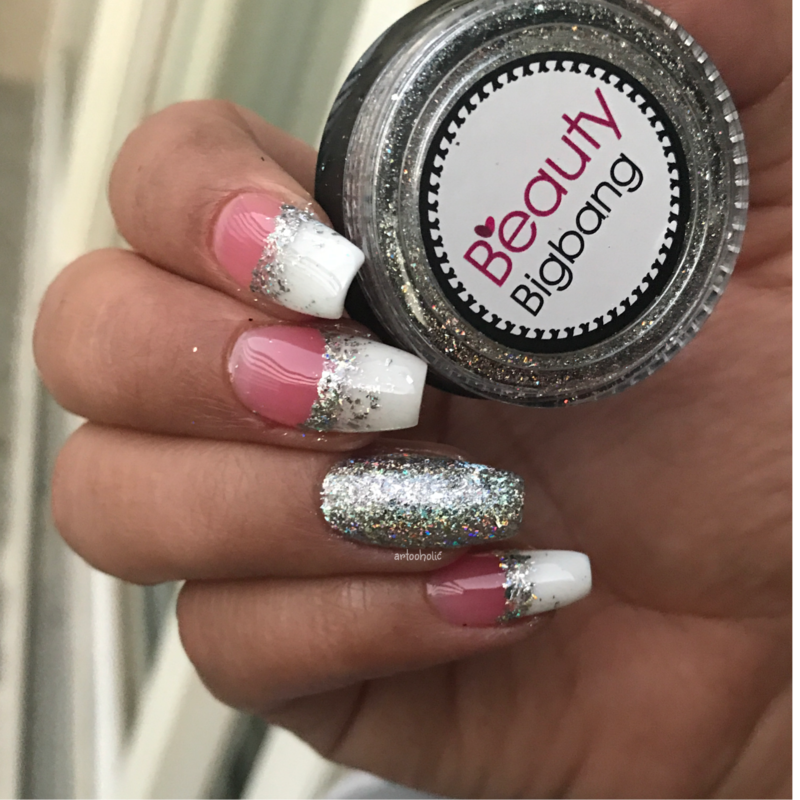 You can use various ways to apply the same – with a finger, with fan brush, regular brush, dipping nail in d container to suggest few. The size you need for a nail is very less depending on your planned look but for sure you can create great number of manicures with it 😻. I have also done a simple classic French on the same along with a tutorial ( Click for Tutorial). 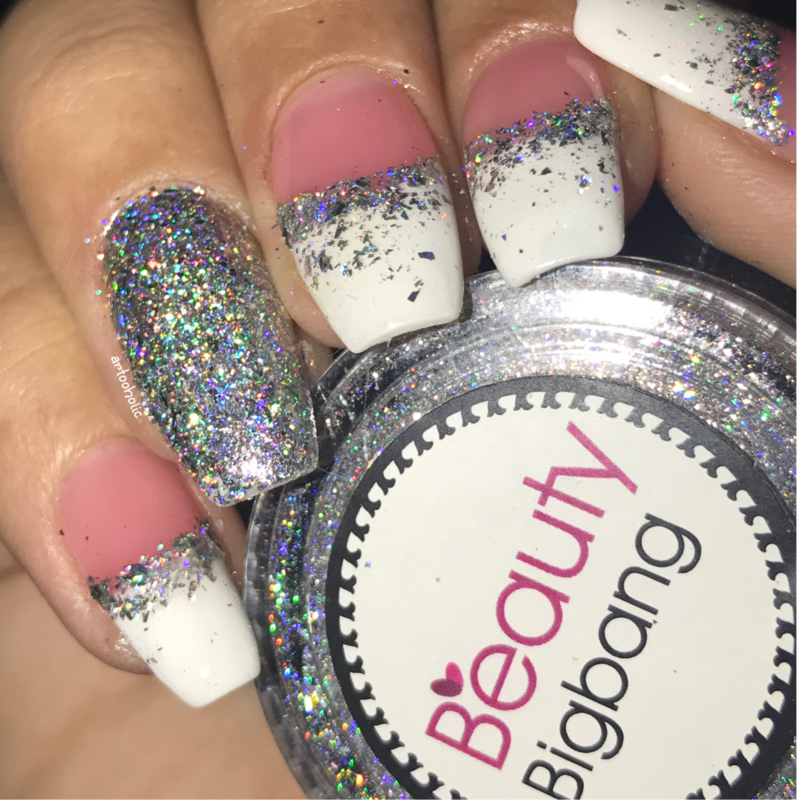 It looks same over black, clear or any coloured based because these are flakes and would cover your entire nail leaving nothing for visibility and are not translucent to reflect any base underneath. 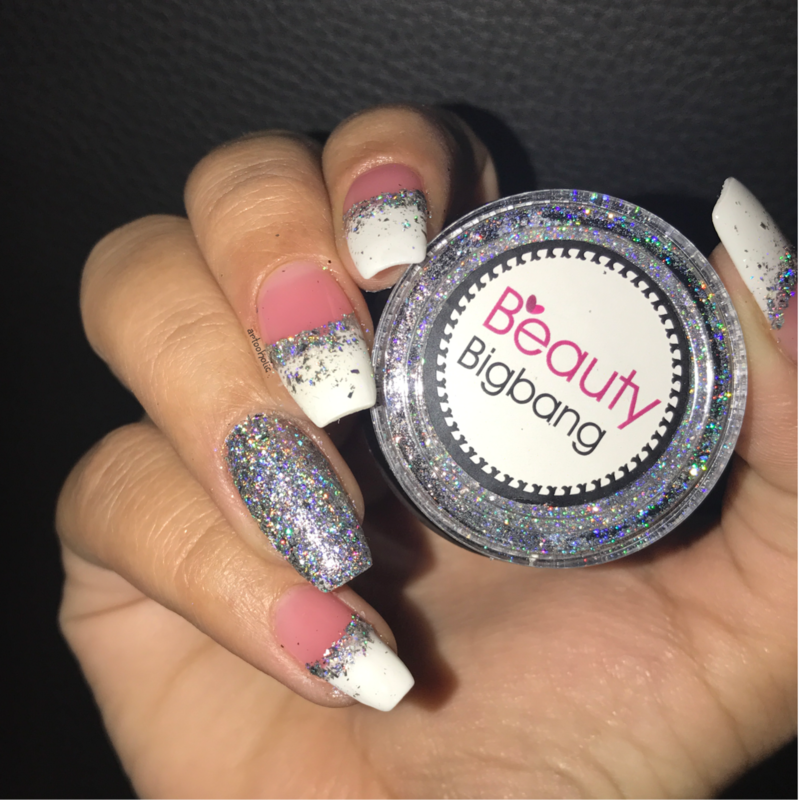 Beautybigbang has great variety of products in all categories you look for related to beauty though. The best part is it ships world wide and are fast. Most importantly are customer friendly. Hey! Guess what I have a discount for you to shop. Use my code ARTO10 to avail 10% site wide whenever you purchase. I hope you enjoyed and liked the blog today.